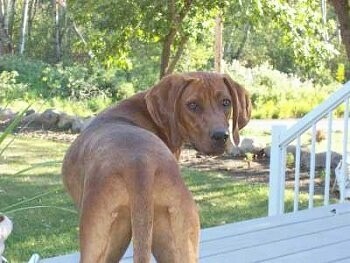 Lucy the Redbone Coonhound taking a nap on the picnic table. 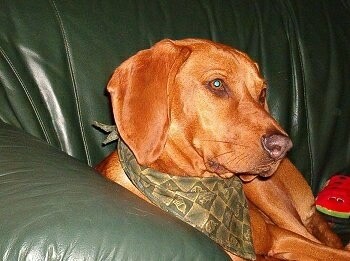 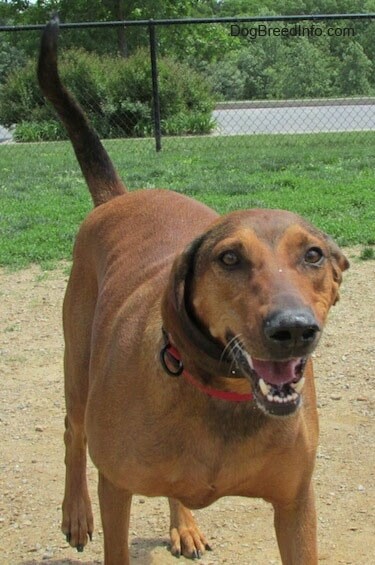 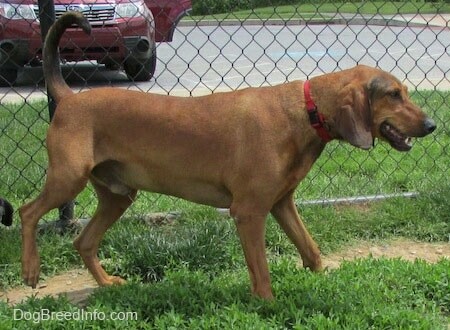 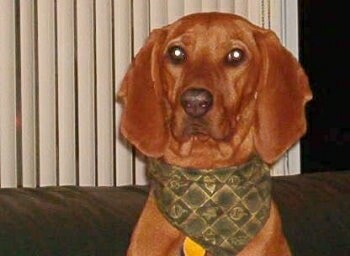 Lucy the Redbone Coonhound wants to go fishing! 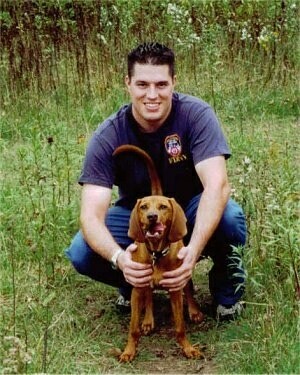 This is Dangerous Dan at about 3 years. 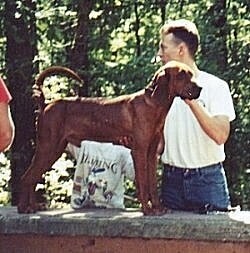 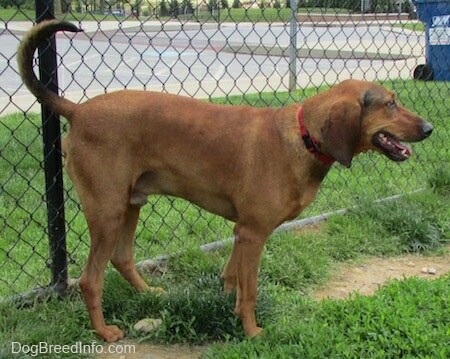 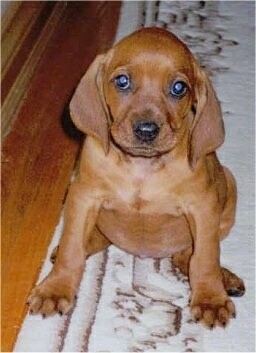 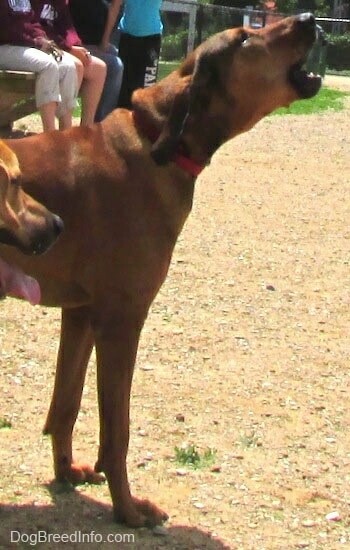 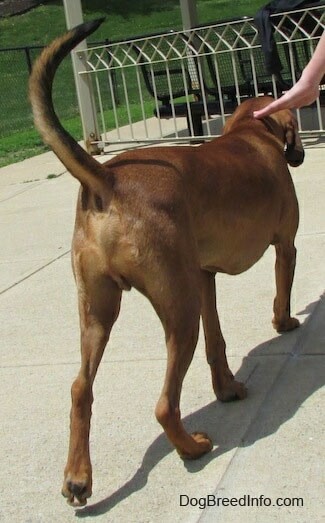 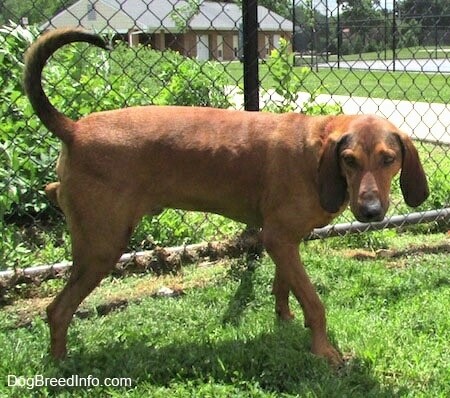 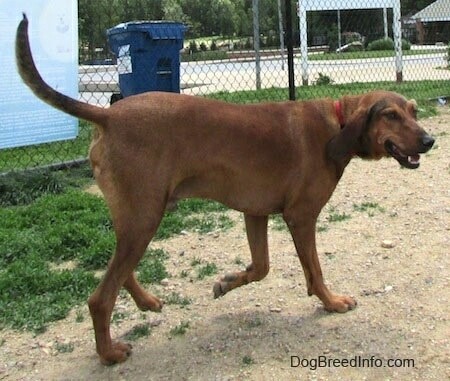 Copper Penny the Redbone Coonhound as a puppy with Jason. 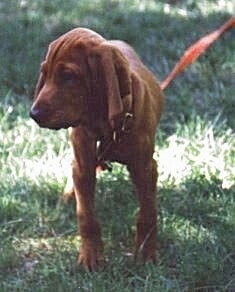 This is Sweet Vidilia as a puppy at about 12 weeks old. 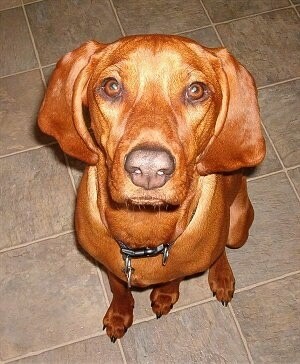 Ellee Mae the Redbone Coonhound at 2 1/2 years old in the snow.